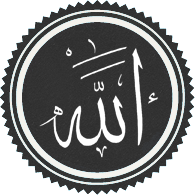 Hadith ( or ; Arabic: حديث‎) in Muslim religious use is often translated as prophetic 'traditions', meaning the corpus of the reports of the teachings, deeds and sayings of the Islamic prophet Muhammad. The hadith literature was compiled from oral reports that were in circulation in society around the time of their compilation long after the death of Muhammad. Bukhari's collection is considered the most reliable by many traditional religious scholars who are Sunnis. The Shi'as believe in an entirely separate body of Hadith. The Hadith also had a profound and controversial influence on molding the commentaries (tafsir) on the Quran. The earliest commentary of the Quran by Muhammad ibn Jarir al-Tabari is mostly sourced from the hadith. The hadith was used in forming the basis of 'Shariah' Law. Much of early Islamic history available today is also based on the hadith and is challenged for lack of basis in primary source material and contradictions based on secondary material available. Each hadith is based on two parts, a chain of narrators reporting the hadith (isnad), and the text itself (matn). Hadiths are still regarded by traditional Islamic schools of jurisprudence as important tools for understanding the Quran and in matters of jurisprudence. Hadith were evaluated and gathered into large collections during the 8th and 9th centuries. These works are referred to in matters of Islamic law and history to this day. The largest denominations of Islam, Sunni, Shiʻa, and Ibadi, rely upon different sets of hadith collections. Clerics and jurists of all denominations classify individual hadith as sahih (authentic), hasan (good) and da'if (weak). However, different traditions within each denomination, and different scholars within each tradition, may differ as to which hadith should be included in which category. A growing number of Muslims have begun to reject the authority of the Hadith in favor of the primary authority of the Quran (See Criticism of Hadith). They cite numerous verses of the Quran (e.g. 6:114, 31:6, 45:6 and 77:50) to support their argument. Some call themselves "Quranists", while others avoid such titles, labeling themselves as "Muslim" to avoid any hint of sectarianism. Some reject all hadith, while others consider the Hadith as having some historical value as secondary source material that may be studied for academic purposes (with rigorous scrutiny,) and those that do not contradict the Quran can be considered useful for certain tasks mandated by the Quran, such as the physical aspect of 'Salat'/Prayer, but both of these groups reject the authority of the Hadith as a source of law. In Arabic, the word ḥadīth (Arabic: حديث‎ ḥadīth IPA: ) means a "report, account, or narrative". The Arabic plural is ʾaḥādīth (أحاديث) (IPA: ). Hadith also refers to the speech of a person. It is a noun. In Islamic terminology, the term hadith refers to reports of statements or actions of Muhammad, or of his tacit approval or criticism of something said or done in his presence. Classical hadith specialist Ibn Hajar al-Asqalani says that the intended meaning of hadith in religious tradition is something attributed to Muhammad but that is not found in the Quran. Other associated words possess similar meanings including: khabar (news, information) often refers to reports about Muhammad, but sometimes refers to traditions about his companions and their successors from the following generation; conversely, athar (trace, vestige) usually refers to traditions about the companions and successors, though sometimes connotes traditions about Muhammad. The word sunnah (custom) is also used in reference to a normative custom of Muhammad or the early Muslim community. Hadith Qudsi (or Sacred Hadith) is a sub-category of hadith which some Muslims regard as the words of God (Arabic: Allah). According to as-Sayyid ash-Sharif al-Jurjani, the Hadith Qudsi differ from the Quran in that the former are "expressed in Muhammad's words", whereas the latter are the "direct words of God". When God decreed the Creation He pledged Himself by writing in His book which is laid down with Him: My mercy prevails over My wrath. The two major aspects of a hadith are the text of the report (the matn), which contains the actual narrative, and the chain of narrators (the isnad), which documents the route by which the report has been transmitted. The sanad, literally 'support', is so named due to the reliance of the hadith specialists upon it in determining the authenticity or weakness of a hadith. The isnad consists of a chronological list of the narrators, each mentioning the one from whom they heard the hadith, until mentioning the originator of the matn along with the matn itself. The overwhelming majority of Muslims consider hadith to be essential supplements to, and clarifications of, the Quran, Islam's holy book, as well as for clarifying issues pertaining to Islamic jurisprudence. Ibn al-Salah, a hadith specialist, described the relationship between hadith and other aspect of the religion by saying: "It is the science most pervasive in respect to the other sciences in their various branches, in particular to jurisprudence being the most important of them." "The intended meaning of 'other sciences' here are those pertaining to religion," explains Ibn Hajar al-Asqalani, "Quranic exegesis, hadith, and jurisprudence. The science of hadith became the most pervasive due to the need displayed by each of these three sciences. The need hadith has of its science is apparent. As for Quranic exegesis, then the preferred manner of explaining the speech of God is by means of what has been accepted as a statement of Muhammad. The one looking to this is in need of distinguishing the acceptable from the unacceptable. Regarding jurisprudence, then the jurist is in need of citing as an evidence the acceptable to the exception of the later, something only possible utilizing the science of hadith." Traditions of the life of Muhammad and the early history of Islam were passed down mostly orally for more than a hundred years after Muhammad's death in AD 632. 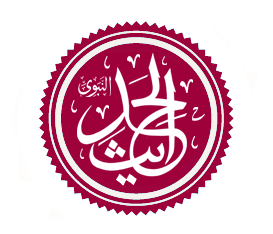 Muslim historians say that Caliph Uthman ibn Affan (the third khalifa (caliph) of the Rashidun Empire, or third successor of Muhammad, who had formerly been Muhammad's secretary), is generally believed to urge Muslims to record the hadith just as Muhammad suggested to some of his followers to write down his words and actions. By the 9th century the number of hadiths had grown exponentially. Islamic scholars of the Abbasid period were faced with a huge corpus of miscellaneous traditions, some of them flatly contradicting each other. Many of these traditions supported differing views on a variety of controversial matters. Scholars had to decide which hadith were to be trusted as authentic and which had been invented for political or theological purposes. To do this, they used a number of techniques which Muslims now call the science of hadith. In the Sunni tradition, the number of such texts is ten thousand plus or minus a few thousand. But if, say, ten companions record a text reporting a single incident in the life of the prophet, hadith scholars can count this as ten hadiths. So Musnad Ahmad, for example, has over 30,000 hadiths—but this count includes texts that are repeated in order to record slight variations within the text or within the chains of narrations. Identifying the narrators of the various texts, comparing their narrations of the same texts to identify both the soundest reporting of a text and the reporters who are most sound in their reporting occupied experts of hadith throughout the 2nd century. In the 3rd century of Islam (from 225/840 to about 275/889), hadith experts composed brief works recording a selection of about two- to five-thousand such texts which they felt to have been most soundly documented or most widely referred to in the Muslim scholarly community. The 4th and 5th century saw these six works being commented on quite widely. This auxiliary literature has contributed to making their study the place of departure for any serious study of hadith. In addition, Bukhari and Muslim in particular, claimed that they were collecting only the soundest of sound hadiths. These later scholars tested their claims and agreed to them, so that today, they are considered the most reliable collections of hadith. Toward the end of the 5th century, Ibn al-Qaisarani formally standardized the Sunni canon into six pivotal works, a delineation which remains to this day. Shi'a Muslims do not use the six major hadith collections followed by the Sunni, as they do not trust many of the Sunni narrators and transmitters. They have their own extensive hadith literature. The best-known hadith collections are The Four Books, which were compiled by three authors who are known as the 'Three Muhammads'. The Four Books are: Kitab al-Kafi by Muhammad ibn Ya'qub al-Kulayni al-Razi (329 AH), Man la yahduruhu al-Faqih by Muhammad ibn Babuya and Al-Tahdhib and Al-Istibsar both by Shaykh Muhammad Tusi. Shi'a clerics also make use of extensive collections and commentaries by later authors. Hadith studies use a number of methods of evaluation developed by early Muslim scholars in determining the veracity of reports attributed to Muhammad. This is achieved by analyzing the text of the report, the scale of the report's transmission, the routes through which the report was transmitted, and the individual narrators involved in its transmission. On the basis of these criteria, various classifications were devised for hadith. The earliest comprehensive work in hadith studies was Abu Muhammad al-Ramahurmuzi's al-Muhaddith al-Fasil, while another significant work was al-Hakim al-Naysaburi's Ma‘rifat ‘ulum al-hadith. Ibn al-Salah's ʻUlum al-hadith is considered the standard classical reference on hadith studies. Syed Ahmed Khan (1817–1898) is often considered the founder of the modernist movement within Islam, noted for his application of "rational science" to the Quran and Hadith and his conclusion that the Hadith were not legally binding on Muslims. He “questioned the historicity and authenticity of many, if not most, traditions, much as the noted scholars Ignaz Goldziher and Joseph Schacht would later do.” He doubted Hadith compilers’ capacity to judge the character of Hadith transmitters of several past generations involved in oral Hadith transmission, and notes, “it is difficult enough to judge the character of living people, let alone long dead. The muhaddithun [Hadith scholars/transmitters] did the best they could, but their task was almost impossible.” His student, Chiragh ‘Ali, went further, suggesting nearly all the Hadith were fabrications. Tolu-e-Islam continues to expand the base of his ideas. His seminal work, Maqam-e Hadith argued that the Hadith were composed of "the garbled words of previous centuries", but suggests that he is not against the idea of collected sayings of the Prophet, only that he would consider any hadith that goes against the teachings of Quran to have been falsely attributed to the Prophet. He was also against mystical interpretations of Islam which relegated Islam to the private sphere, as he believed Islam was not actually a "religion" to be practiced individually and based in a dogmatic blind faith. Pervez argued that since God requires certainty from believers and certainty can only be achieved by reason, therefore true Islam is actually inherently opposed to Religion, an argument he elaborated in his scholarly work "Islam: A Challenge to Religion". The 1986 Malaysian book "Hadith: A Re-evaluation" by Kassim Ahmad was met with controversy and some scholars declared him an apostate from Islam for suggesting that "“the hadith are sectarian, anti-science, anti-reason and anti-women". Early Western exploration of Islam consisted primarily of translation of the Qur'an and a few histories. In the 19th century, scholars translated and commented upon a great variety of Muslim religious texts; by the beginning of the 20th century, Western scholars of Islam started to critically engage with these Islamic texts. Ignaz Goldziher is the best known of these turn-of-the-century critics, who also included D. S. Margoliuth, Henri Lammens, and Leone Caetani. Goldziher writes, in his Mohammedan Studies: "it is not surprising that, among the hotly debated controversial issues of Islam, whether political or doctrinal, there is not one in which the champions of the various views are unable to cite a number of traditions, all equipped with imposing isnads". John Esposito notes that "Modern Western scholarship has seriously questioned the historicity and authenticity of the hadith", maintaining that "the bulk of traditions attributed to the Prophet Muhammad were actually written much later." He mentions Joseph Schacht as one scholar who argues this, claiming that Schacht "found no evidence of legal traditions before 722," from which Schacht concluded that "the Sunna of the Prophet is not the words and deeds of the Prophet, but apocryphal material" dating from later. Contemporary Western scholars of hadith include: Herbert Berg, Fred M. Donner and Wilfred Madelung. Madelung has immersed himself in the hadith literature and has made his own selection and evaluation of tradition. Having done this, he is much more willing to trust hadith than many of his contemporaries. Madelung said of hadith: "Work with the narrative sources, both those that have been available to historians for a long time and others which have been published recently, made it plain that their wholesale rejection as late fiction is unjustified and that with a judicious use of them, a much more reliable and accurate portrait of the period can be drawn than has been realized so far." ^ Newby, Gordon D. (2002). A concise encyclopedia of Islam (Repr. ed.). Oneworld. ^ a b c d e "Hadith," Encyclopedia of Islam. ^ al-Asqalani, Ahmad ibn 'Ali. Fath al-Bari (in Arabic) 1. Egypt: al-Matba'ah al-Salafiyyah. p. 193. ^ ^ Tirmidhi, “‘Ilm,” 12. ^ Michael Cook, Muslim Dogma, (Cambridge, Cambridge University Press, 1981), p. 9; cited in Aisha Y. Musa, Hadith As Scripture: Discussions On The Authority Of Prophetic Traditions In Islam, Palgrave Macmillan, 2008, p. 38; taken from Abdur Rab, Rediscovering Genuine Islam: The Case for a Quran-Only Understanding, CreateSpace Independent Publishing Platform, 2014, p. 198. ^ Azami, M. A., Studies in Hadith Methodology and Literature, Islamic Book Trust, Kuala Lumpur, 92; cited in Akbarally Meherally, Myths and Realities of Hadith – A Critical Study, (published by Mostmerciful.com Publishers), Burnaby, BC, Canada, 6; available at http://www.mostmerciful.com/Hadithbook-sectionone.htm excerpted from Abdur Rab, 2014, p. 200. ^ Ahmad, Aziz (1967). Islamic Modernism in India and Pakistan, 1857 -1964. London: Oxford University Press. ^ Ali, Ratib Mortuza. "Analysis of Credibility of Hadiths and Its Influence among the Bangladeshi Youth". BRAC University. Retrieved 22 February 2012. ^ Esposito, John (1998). Islam: The Straight Path. Oxford University Press. p. 67. ^ Humphreys, R. Stephen (1991). Islamic History. Princeton University Press. pp. 83–84. ^ a b The Succession to Muhammad, page xi. Berg, H. (2000). The development of exegesis in early Islam: the authenticity of Muslim literature from the formative period. Routledge. Lucas, S. (2004). Constructive Critics, Hadith Literature, and the Articulation of Sunni Islam. Brill Academic Publishers. Robinson, C. F. (2003). Islamic Historiography. Cambridge University Press. Hallaq, Wael B. (1999). "The Authenticity of Prophetic Ḥadîth: A Pseudo-Problem". Studia Islamica (89): 75–90. Lucas, S. (2002). The Arts of Hadith Compilation and Criticism. University of Chicago.